The ARCH Academy of Design was established in the year 2000 under the management of the Arch Educational Society to impart globally relevant and industrially specialized education in design. The Arch Academy of Fashion, Art, Design is set up by the Arch Educational Society, to impart specialized and industrially relevant education preparing the students professionally to take up challenges in the fast changing world of fashion and design, gems and jewellery. 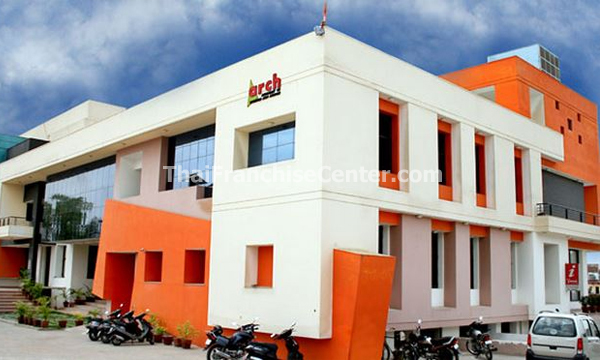 ARCH is an affiliated institution of the Rajasthan University for undergraduate courses in B.Com., B.V.A., B.B.A. & conducts the Post Graduate Degree course in Garment Production and Export Management (GPEM). ARCH is the only authorized Program Study Centre in North & Central India of the Indira Gandhi National Open University (IGNOU) for a Certificate Course in Jewellery Design. The ARCH Academy of Design is also a premier Edexcel centre, and in strategic partnership with Pearson Edexcel is implementing nine Edexcel programmes alongside its other programmes of study. Area required: 2500-4000 sq. ft. Address Plot No. 9, Govind Marg, Malviya Nagar Institutional Area, Jaipur 302 017.